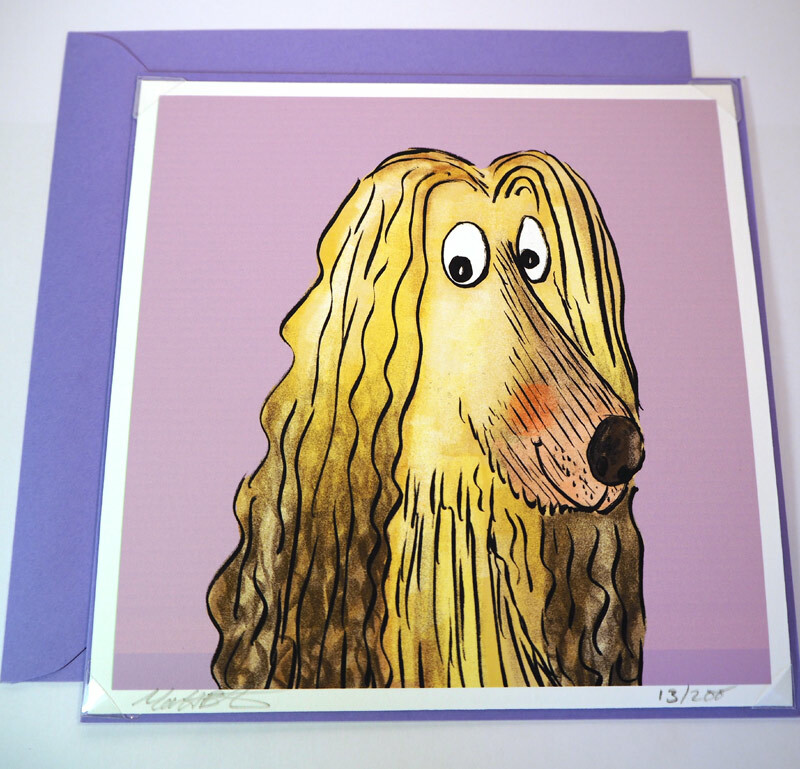 A beautiful Afghan Hound card. This print would make a wonderful gift for any dog lover. Print size: 14.5cm x 14.5cm. Card size: 14.8cm x 14.8cm. 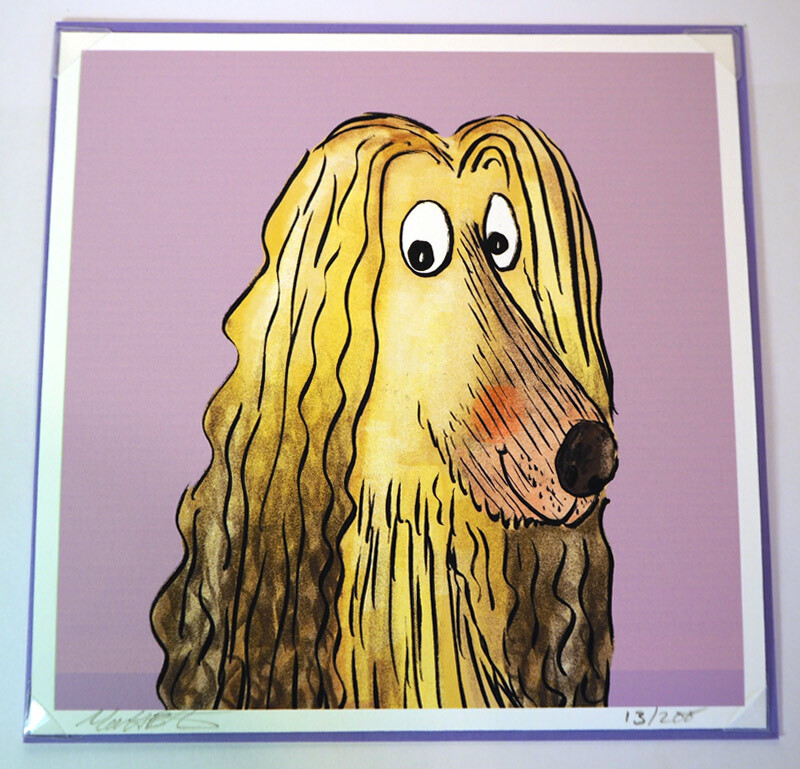 Removable signed print, suitable for framing. Card is left blank for your own message. Total number of editions: 200. 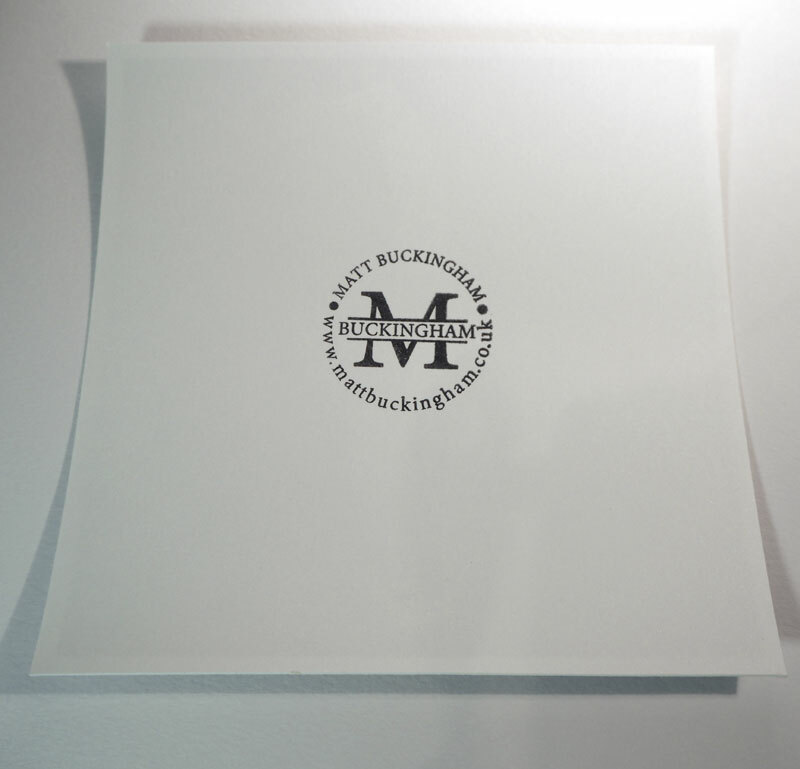 We have worked with illustrator, Matt Buckingham to create a selection of limited edition print cards perfect for a variety of occasions. 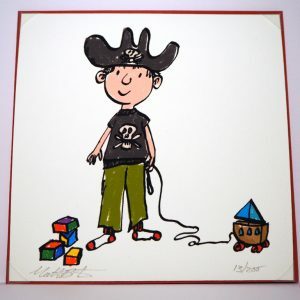 Each card comes with a detachable artist print (stamped, signed and numbered) ready to be framed by the recipient, making a beautiful piece of art for the home. A card and gift in one perfect package. 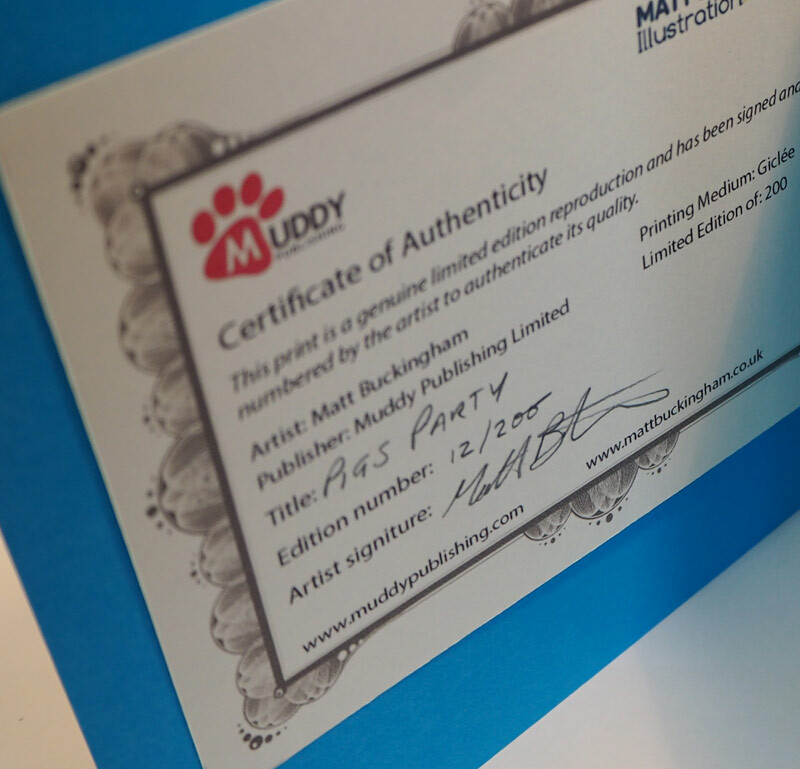 The print is provided with a certificate of authenticity signed by the artist. 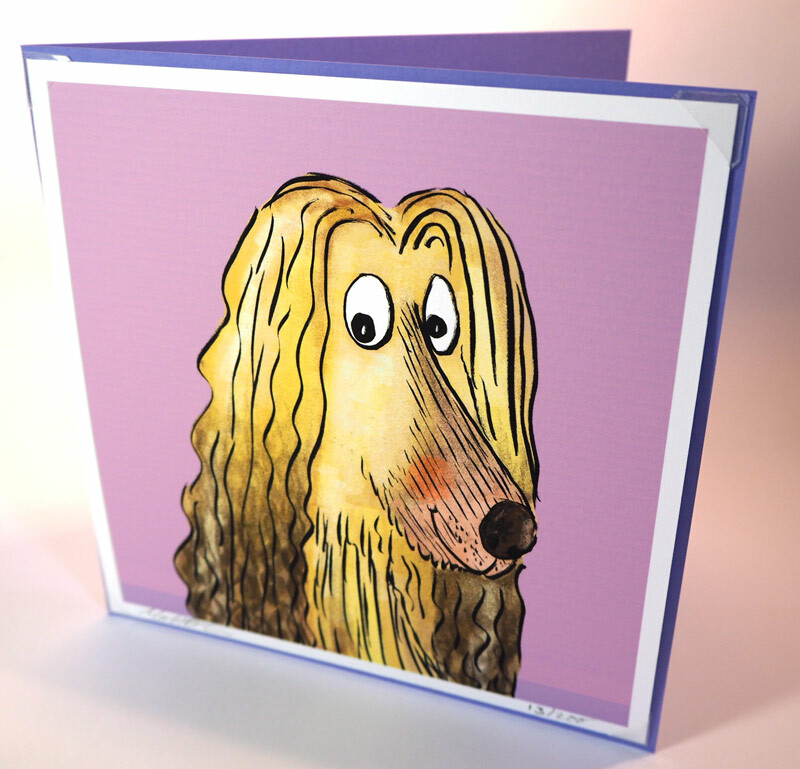 The card is blank inside ready for your personal message, base-card colours and envelope colours may vary. 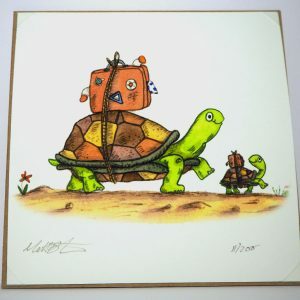 This is an archival Giclée print produced on smooth fine art stock 285gsm. The print is attached to the card by non-damaging, acid free photo corners. 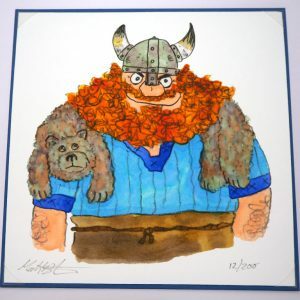 Matt Buckingham is an internationally published illustrator and author who has created charming picture book characters and has illustrated a range of poetry books and historical non-fiction. To find out more about Matt please see his website. We stock signed copies of the 'Bright Stanley and the Mermaid Tale' paperback book along with a selection of greetings cards featuring a signed limited edition print. A card and gift in one package!